The new Intel NUC8i7 comes in two different models. 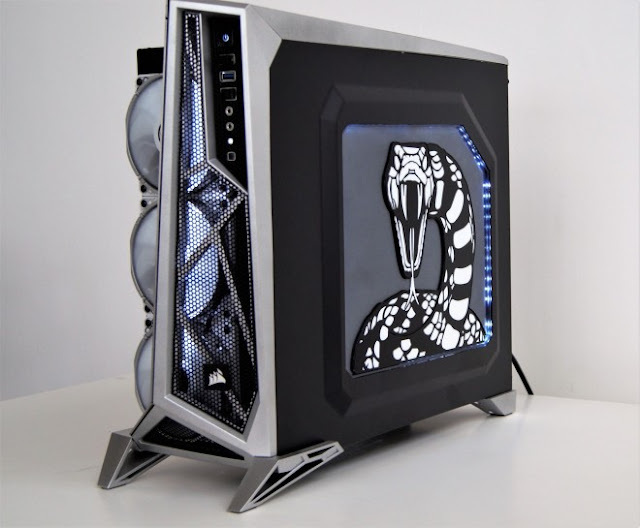 The HVK is the top end of the stack and features an unlocked 8th generation (Kaby Lake-R) Intel Core i7-8809G processor, which sports a 100W TDP and can reach a 4.2GHz Turbo frequency at stock settings. The Radeon RX Vega M GH graphics inside the -8809G is VR-capable and reaches a peak clock rate of 1,190MHz, but it also features an unlocked core clock and can be given a performance boost (if the thermals allow it). 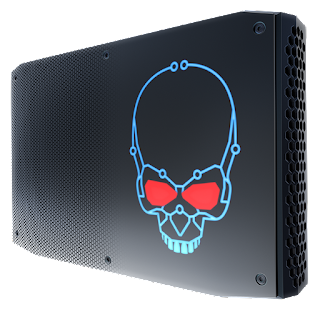 The NUC8i7HNK is more conservative, with an Intel Core i7-8705G processor that operates at a 65W TDP and can hit a 4.1GHz Turbo frequency in lightly threaded applications. Overclocking isn’t an option with the locked CPU multiplier. The Vega graphics are also somewhat stunted compared to the HVK – the RX Vega M GL graphics reach a peak frequency of 1,011MHz, and it can’t be overclocked. Intel didn’t slap the “VR-capable” tag on this version of the new NUC. Both of the new NUC kits feature two SODIMM memory slots that support up to 32GB (2 x 16GB) of DDR4-2400 SODIMM memory running at 1.2V. For storage, users can equip the NUC8i7 with up to two M.2 2880 SSDs (SATA or PCIe). Additional storage and peripherals can be connected via three USB 3.1 (Gen 2) Type-C ports (two of which support Thunderbolt 3 connectivity), a USB 3.1 (Gen 2) Type-A port, and five USB 3.0 ports (four rear, one front). There’s also an SDXC card reader. 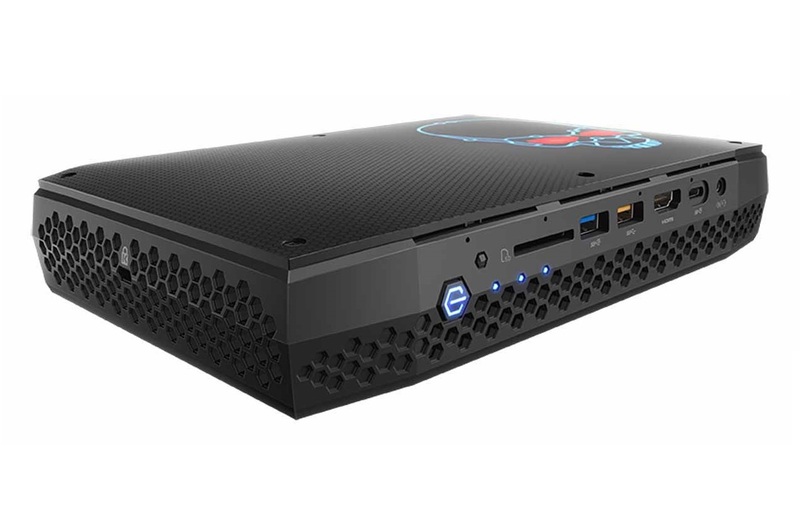 The new Intel NUC8i7 also sports ample display connectivity, with two mini DisplayPort 1.3 and an HDMI 2.0 port on the rear panel. The rear TB3 interfaces also support DisplayPort 1.2 connectivity, and the front HDMI 2.0 port makes it easy to connect a VR HMD. 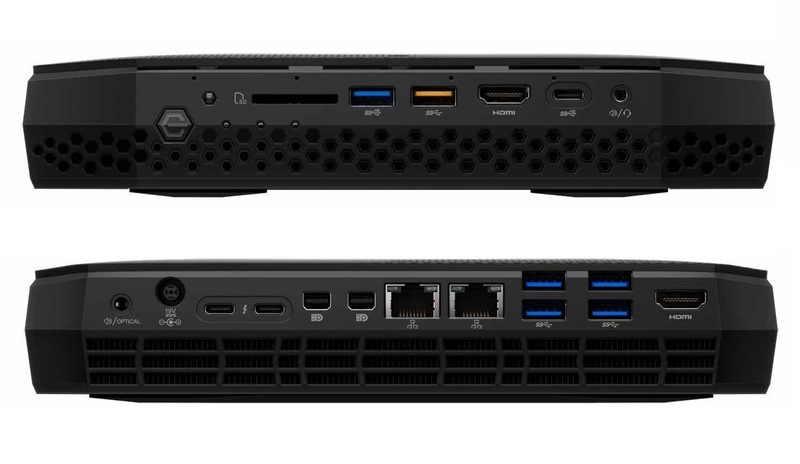 Intel also packs plenty of networking options into the NUC8i7, with dual gigabit Ethernet ports (powered by an Intel i219-LM and i210-AT NIC) and wireless-AC connectivity (via an Intel Wireless-AC 8265 module). The device is powered by a 230W AC adapter and can be mounted to the back of a VESA-capable display. 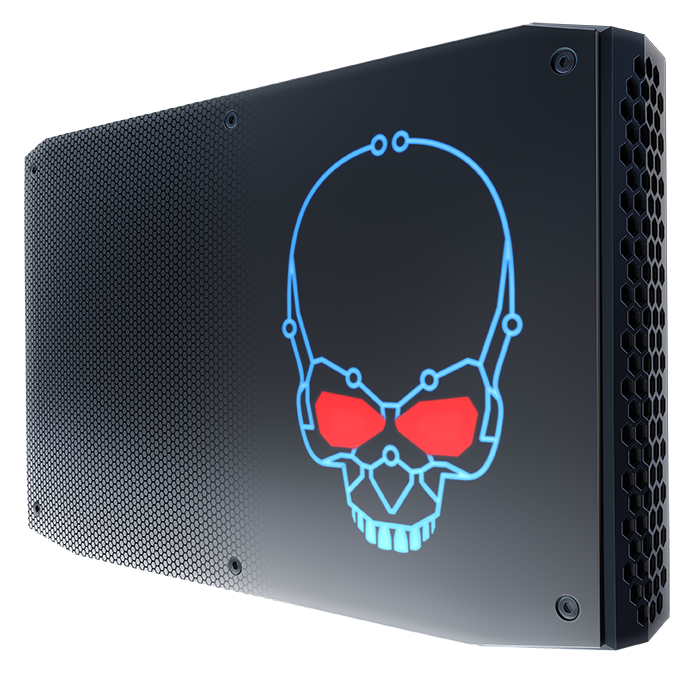 The new Intel NUC8i7-HVK and NUC8i7-HNK will be available for $999 and $799, respectively, and they should hit store shelves this March.